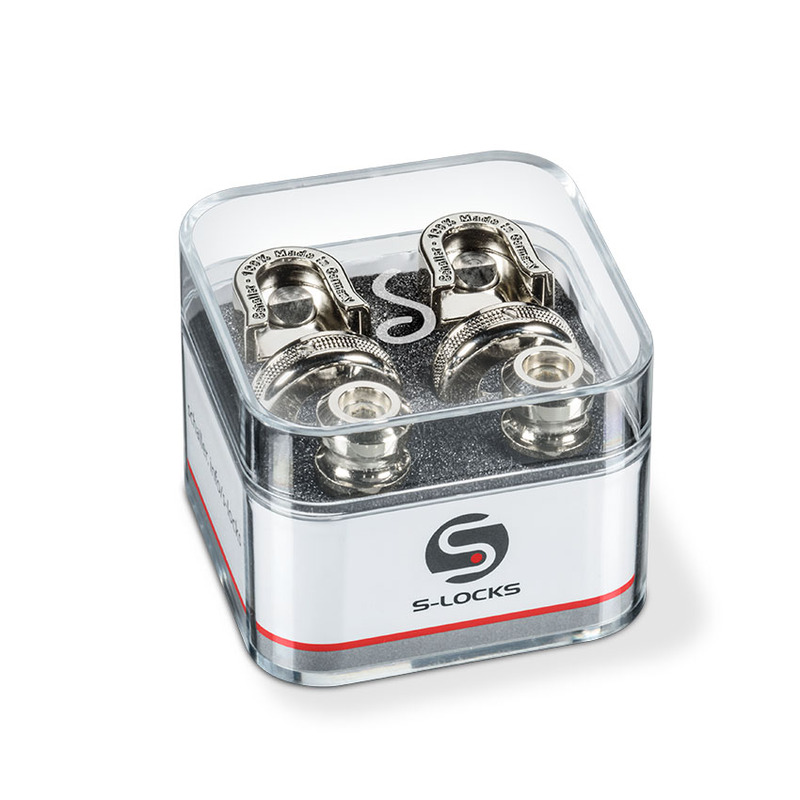 hese new revolutionary S-Locks from Schaller are silent. They feature an elegant Lock-Wheel, one-piece hardened steel strap button and newly designed locking bolt – all with aesthetic design and perfect handling. This is a completely redesigned, unique solid one-piece strap button in hardened steel with self-tapping wood thread. Simply screw it on with an Allen key (size 3mm/ 1/8").